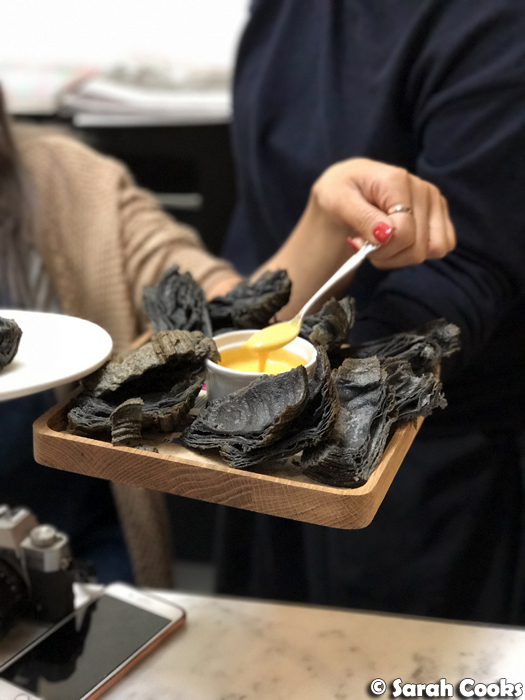 You may know LuxBite as that fancy-pants patisserie, creators of the Lolly Bag cake, who combine French techniques with Asian flavours to put their unique spin on dessert. (In my house, a LuxBite cake is mandatory at Chinese New Year!) 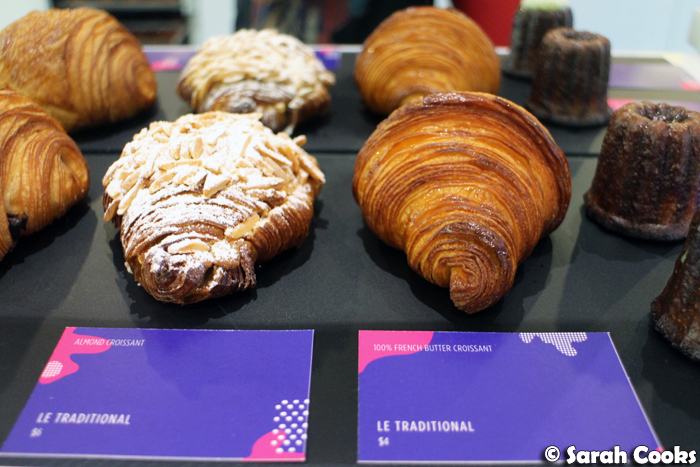 Well, now they're entering the croissant game, adding Viennoiserie to their already impressive range of cakes and macarons. 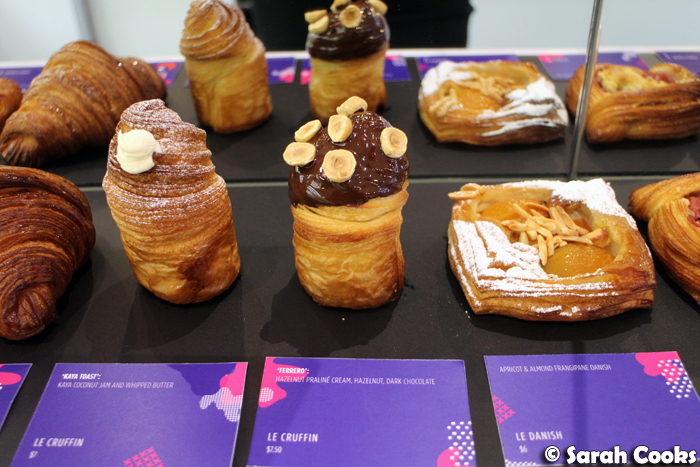 I'm a huge fan of LuxBite, and an even bigger fan of all things butter, so when I received an invitation to a special breakfast to launch their Viennoiserie range, I was totally there! It was hard getting out of bed early on a Sunday morning, but this gorgeous display of pastries made it all worthwhile. 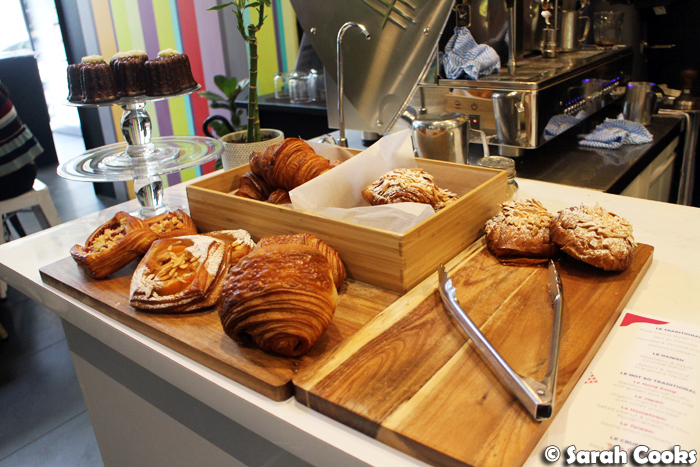 ... as well as pain au chocolat (my favourite), chocolate almond croissants, and fruit danishes. 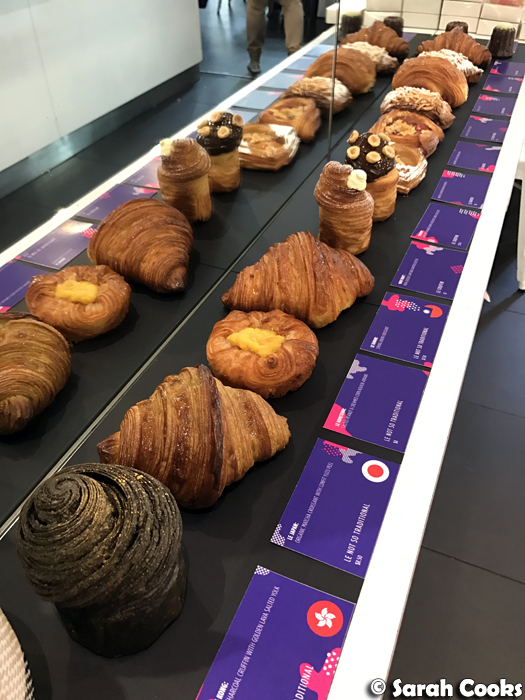 The range also includes some fun cruffins (that's a croissant muffin hybrid doncha know) - a kaya toast one with kaya and whipped salted butter, and a decadent Ferrero one with hazelnut praliné cream and dark chocolate. And there is also "Le Not So Traditional" range, with really unique Asian-inspired flavours. This is where Chef Bernard's creativity really shines. 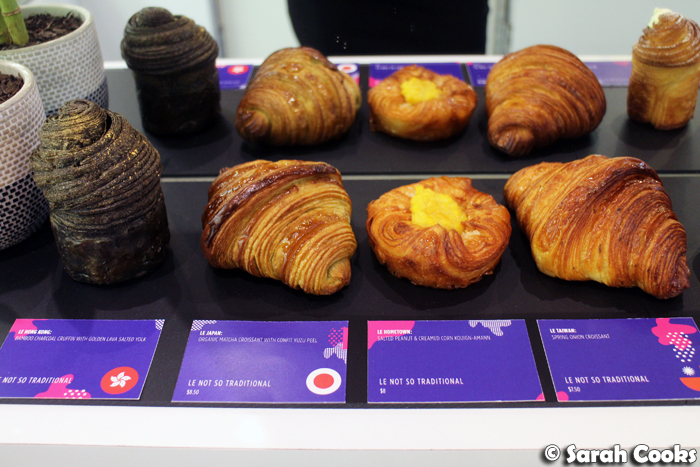 There's Le Hong Kong (bamboo charcoal cruffin with golden lava salted egg yolk), Le Japan (matcha croissant with confit yuzu peel), the Malaysian-inspired Le Hometown (a kouign-amann with corn and salted peanuts, like an apam balik), and even a Taiwanese-style savoury croissant with spring onions. Of the not-so-traditional ones, my favourite was the kouign-amann, with its crisp caramelised dough, crunchy salted peanuts and sweet creamed corn. (Of course the Malaysian one was my favourite!) The savoury spring onion croissant was unusual but very tasty, and the matcha yuzu was impressive. I think the most popular one at the breakfast, however, was Le Hong Kong - Yen from LuxBite cut up a bunch of them so we could share, and drizzle our own golden lava on top. Heaven! 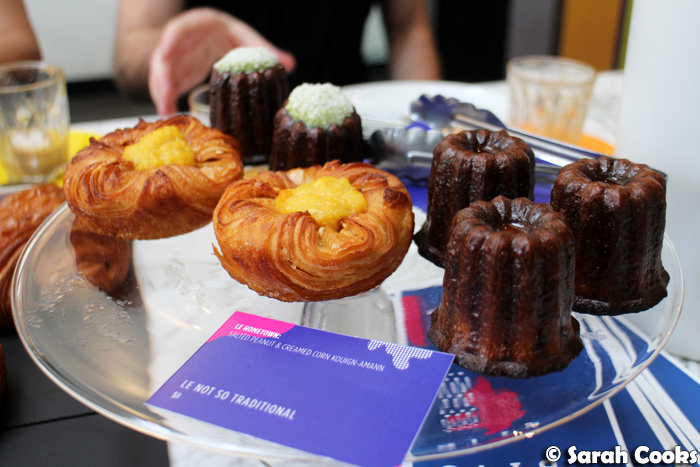 In addition to all the pastries, the new range includes cannelés - both vanilla and pandan. I've found that cannelés here in Australia can be hit and miss, but LuxBite's ones are spot on. They've got the requisite intensely dark and crisp exterior and almost custardy interior. 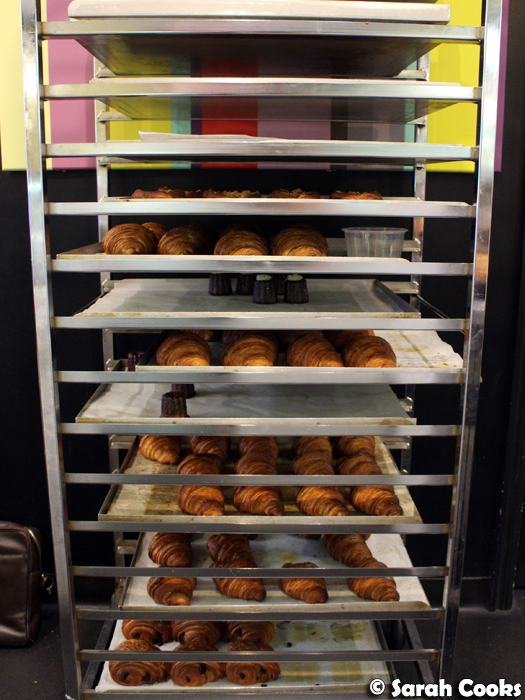 Overall the Viennoiserie were excellent. I loved the base croissant dough - so flaky and buttery, with a lovely subtle hint of salt. 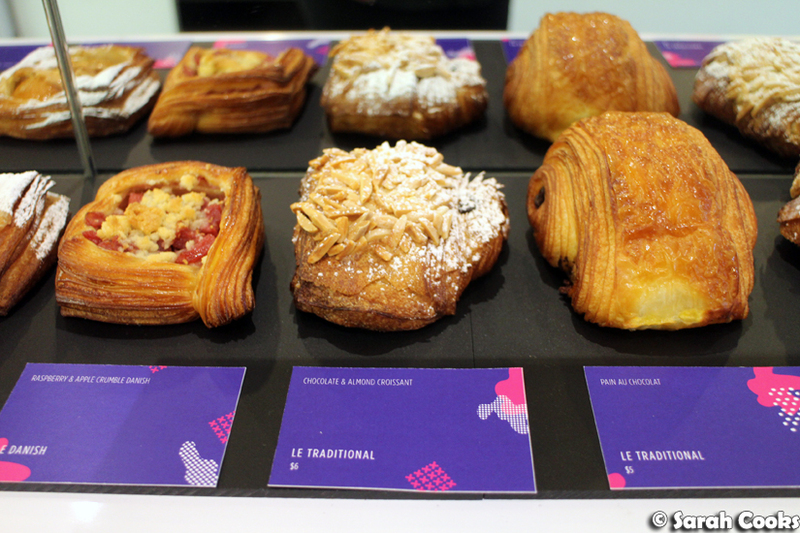 And just like with their regular cakes, the flavours in the Viennoiserie are very well balanced, not too sweet, not too rich. Just right. And in case you're wondering, I tried almost all of them - except for the danishes and the almond croissants. Yes, even I have limits! I'll just have to pop back to try them once they're launched. (That apricot frangipane danish is calling my name). 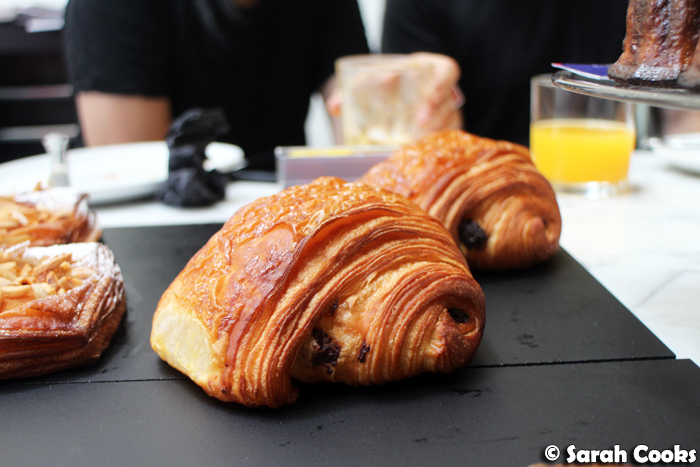 For now, let's take a moment to appreciate those layers in the pain au chocolat. 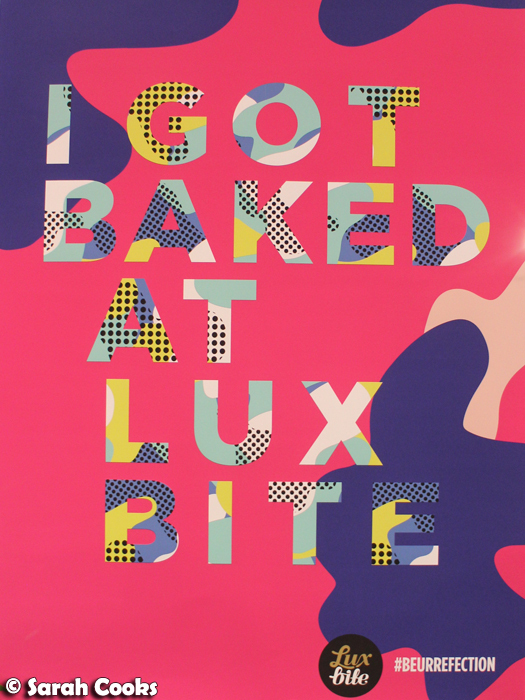 LuxBite's Viennoiserie range is now available at their South Yarra store. They're also currently doing a #beurrefection Pop-Up at N2 Gelato (18 Sutherland St, Melbourne VIC 3000) in the CBD daily from 8am - 12pm until Sunday 19th March. 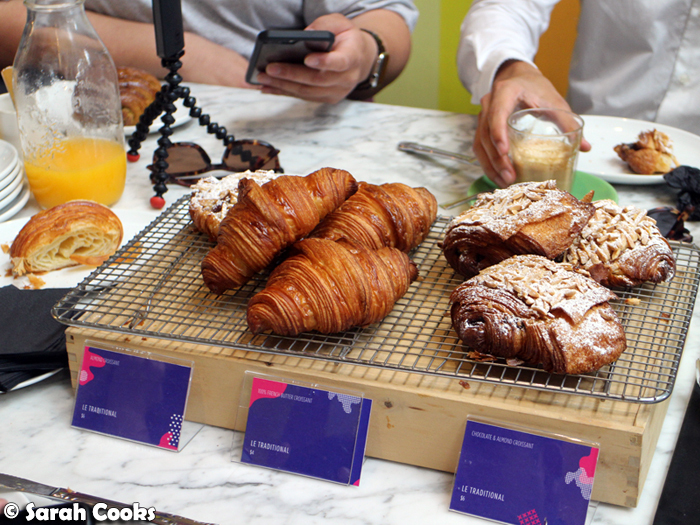 Sarah attended LuxBite's Viennoiserie Launch as a guest. Oh cool! I hope they do this in Sydney (or maybe they do and I didn't know it haha). I agree about caneles, they can be so hit and miss in Australia (also hit and miss in France too sadly).